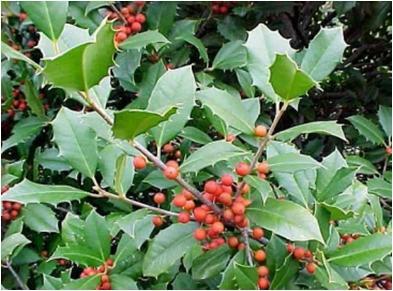 Are Holiday Colors & Greenery Pet Safe? It’s common place to decorate your home with greenery highlighted with bows and lights during the holidays. The use of greenery and décor depends on your budget and the how dense and how much greenery you want your rooms to have. However, when using greenery, whether original or artificial, you need to think over the safety concerns of your pets in your mind. But, at first, decide if you want artificial or natural plants? There are added benefits of going with artificial plants. They are less likely to get into fire hazards, they create less mess on your floors, and they can be available in your desired colors and styles. They do not require sunlight and watering. You can get these at a nearby store, all you have to do is to plug them in. And whoa! They create the magic right away. Conversely,if the smell of fresh evergreen trees, plants and flowers is your weakness, you should go for natural plants and greenery. To deck your indoors with natural greenery, you need to take good care of them, and make necessary measures to prevent them from being fire hazards. Well-maintained indoor greenery create superb draw at your home. But, for this, you should be ready to invest your time and energy in getting them and caring for them. If you prefer the evergreen smell go with natural greenery. If we look at the environmental attributes, an artificial Christmas tree needs to be used for 20 years to have a lower carbon footprint. An acre of Christmas trees produces oxygen to sustain 18 people. Use energy efficient LED. LED is the Nobel winning invention, that is creating the buzz around the world. No matter if you are using artificial or natural greenery, you can definitely use LED decorative lights. Apart from being energy efficient, these lights do not heat up during the operation, so they also mitigate the chances of fire breakout during celebrations. Reuse available plants intelligently. You cancut the branches of your old natural plants, and use them in diverse vases, and decorate other room with them. You may also consider using other attractive plants/parts to put in some added draw to your indoors. To create outdoor fireplace and pits, reuse things available around you. Pick pine cones; dip them in melted wax, dry and re-dip them and re-dry them; and follow it four to five times. And, now they are ready to be used as fire starters in your outdoor fire pits. In contradiction of the long-established myth, Poinsettias are actually a safe holiday plant. 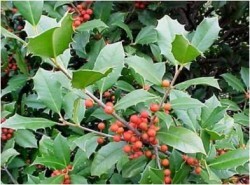 Its leaves are not seriously toxic and set it up as the plant of choice if you have pets at home. Research programs held by Colorado State University and the Mayo Clinic validate these findings. If you are looking for Holiday Lights and festive decors Done for You? Or Call Best Yard @ 720-851-7550.